Another early in to the collection watch was the Explorer II 16570. 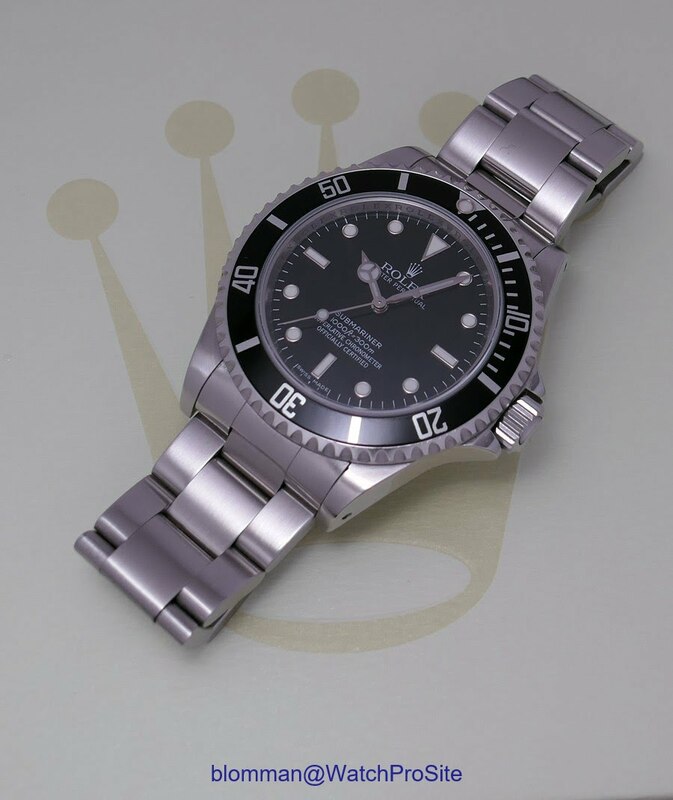 I never considered myself as a Rolex collector, but I always thought I should have a Submariner. A true classic that I think, even if looks are similar to the Sea-Dweller, it holds its own charm! 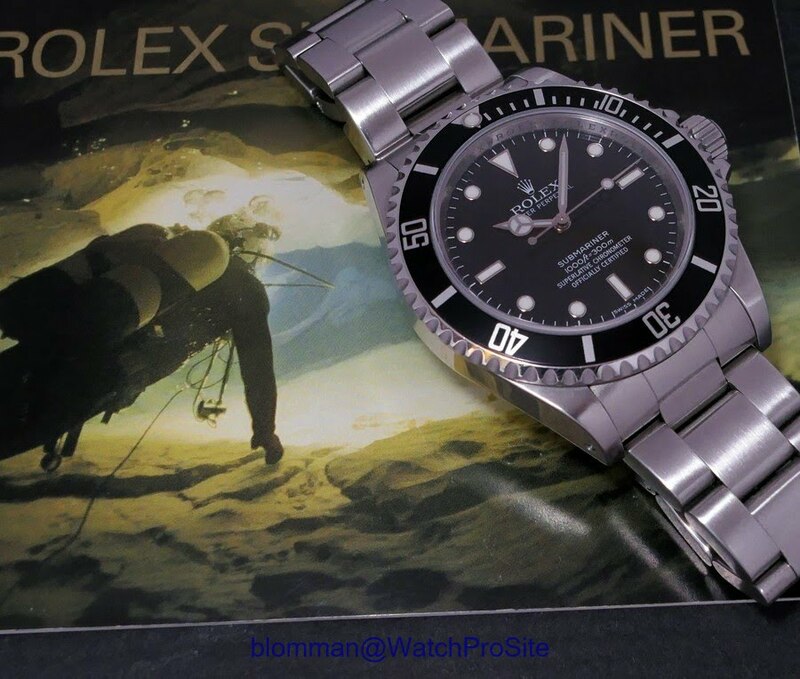 After reading Baron’s post on the Rolex 14060M and the dial version “Long Good F” I knew I found “my” Submariner! 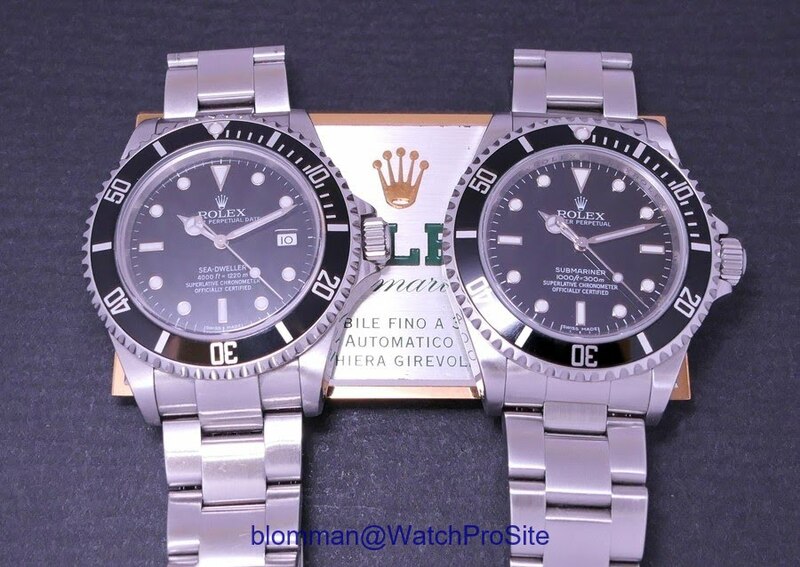 Subtle dial variations are very much a “Rolex thing”, IMO. I find the Long Good F a very charming detail that only those in the know will recognize and appreciate! Until your wife looks at this post ! I still think that you will be in big trouble ..
How will you get out of this one ? Baron... He made me do it! Wow, congratulations and wear it in great health. Try the earlier case and you will.understand! Wow, you move fast, my friend! Very fast. Congratulations on this catch and even a Long Good F! Perfect. why not the 2 lines instead? Aahhh, my friend !.. You‘re steadily entering deeper into the „dark“ territory of R‘s.. Great addition to the 1600 & your others !.. This long F is a pretty rare Ref.. But strong & cool !.. .. Bravo !! - BTW: AFAI remember you also have a very nice GMT/ 1675(? ), Pink Lady + a cool Explorer !! So, sincere Congrats & wear it in the very Best of your health ! hs. Well, maybe not compared to your two main portfolios, still JLC (my Mr Memovox !.. .. & of course your amazing GP collection ! 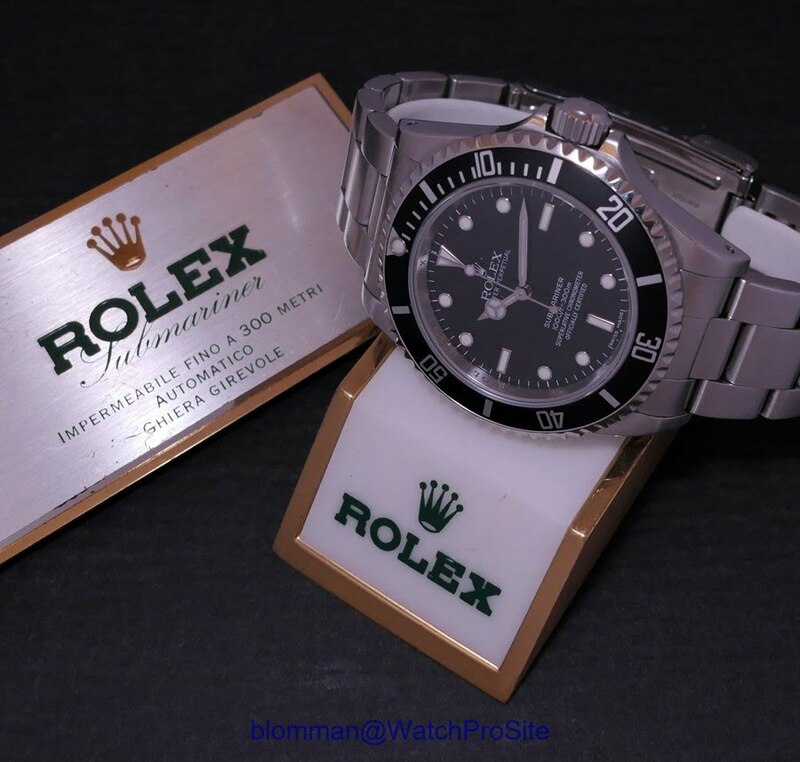 But your Rolex picks are also very well chosen, so at least by a connoisseur ! As always, all my Best to you & yours ! hs. Perfect condition and the long F, congratulations. Thanks for the answer Blomann! It is not a great desaster for me, this two Fourliners are mint, one with stickers. This not so bad. I will check this next month in Switzerland! Very happy for you, Blomman! The 14060M was my first modern Rolex but mine was the non-COSC version. And your SD has the same small F dial as my Y-Serial. As you know, I think the 14060 is one of the nicest modern Subs. It ticks every box for me as a Modern Submariner. To have chosen 14060 and found a LGF dial..... bravo my friend. Top banana. ..... that is all I ever do. I think he calls himself the "Navigator" at times. In Romanian that translates as "Vlad". Not well-known. Very nice acquisition, Mr. Blue! That really is a terrific version of the Submariner.